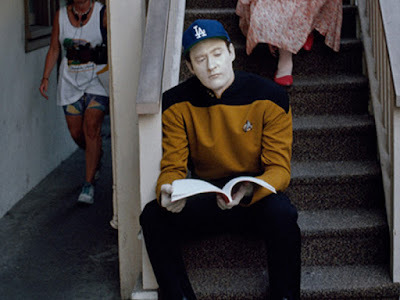 A Cap Wearing Brent Spiner as Data from Star Trek The Next Generation Checking Out His Script. What the camera doesn't show is how fast Data is reading the script. Data is so cool. Pity it's not a Niner's cap.